Ellison: I’ve never been on to something this big before. 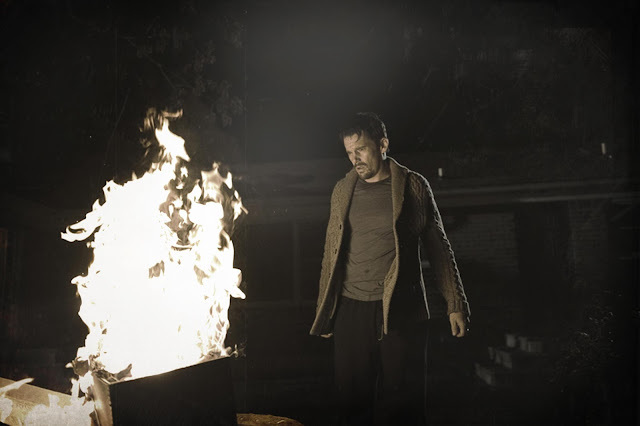 Sinister is exactly the kind of horror movie I like to see during the month of October. It may not be a future classic, but it is a film that delivers on providing an entertainingly scary experience in the theater and presumably at home. 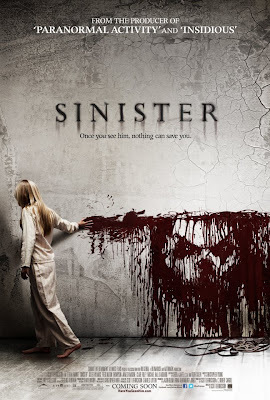 As opposed to being a remake or another entry in an old horror series, Sinister is a new horror film, with a concept that delivers. The atmosphere is consistently creepy, there is some slick direction to make it stand out, and Ethan Hawke gives a strong lead performance. While I don’t think the story quite delivers on what it sets up, the film, as a whole, is still frightening enough and fitting to be seen around the time of Halloween or whenever you need a good scare. Ethan Hawke stars as Ellison Osborne, a true-crime novelist, who has moved into a new town with his wife, Tracy (Juliet Rylance), and two kids, Ashley (Clare Foley) and Trevor (Michael Hall D'Addario). Ellison has moved into a town that has recently seen the brutal murder of a previous family, but unknown to the rest of Ellison’s family, he has actually chosen to live in the very same house where it happened. After having moved in, Ellison begins work on unraveling the truth behind what happened to the murdered family, in hopes of writing a new bestseller. Upon venturing into the attic of the house, Ellison discovers a mysterious box of Super 8 film reels and a projector. As Ellison sets up the Super 8 films and plays the footage, he discovers that these are a collection of films that have caught the murders of several families on tape, including the previous occupants of his house. Each one is quite brutal and it doesn’t make anything easier for Ellison, especially after seeing the image of a mysterious figure in a few of the tapes. 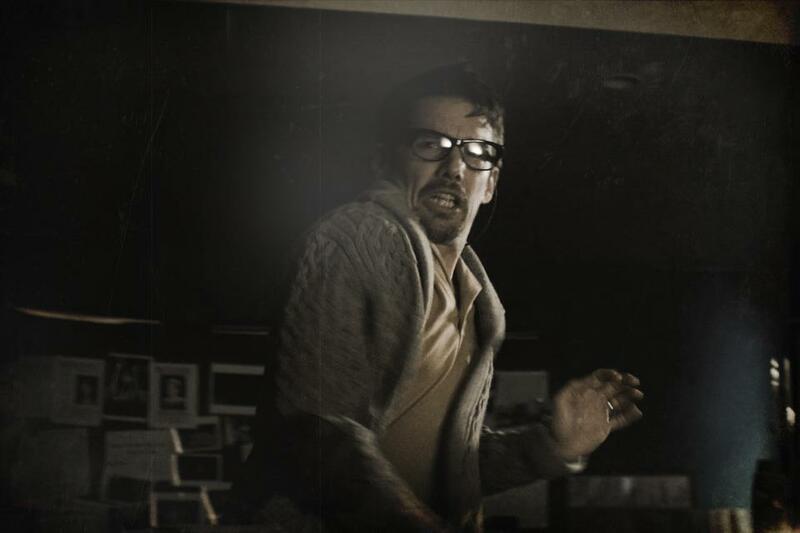 Things only get worse, as Ellison begins to witness creepy activities going on at night, while he is working. What Sinister absolutely nails is the horror atmosphere throughout the film. While not set in a location that seems inherently creepy (which is a nice touch), the film utilizes the house well enough to create a constant sense of dread revolving around Ellison and his family. Aiding in this are the Super 8 films, which we get plenty of time to view, as Ellison replays them, attempting to gather more and more clues. The films are all grimy, with director Scott Derrickson and his team adding various filters on each to make them feel different, and depict some truly macabre situations. I was also a big fan of the unconventional industrial score by Christopher Young, who added a nice touch with his handle on the sounds of Sinister. The mood of the film is consistently effective, which ultimately helps the movie out. Further adding to the quality of the film is the presence of Ethan Hawke. He manages to play a character that seems like a good person at heart, who cares about his family but, has some selfish qualities as well, which certainly humanize him, allowing the film to use certain aspects, plot-wise, that keep the family where they are for the majority of the film. It is a strong performance though, as he gets to be the person who gets freaked out, but also the same one that teeters the line between being a believer in something supernatural and someone who thinks he is in control. Hawke also serves as a benefit in a film that does not feature a lot of strong effort from anyone else. The cast is fairly minimal, so it is not necessarily a problem, but Juliet Rylance does not get a whole lot to do to make the wife a better character. Vincent D’Onofrio literally ‘phones it in,’ as he plays an exposition-heavy character, seen only in online video calls, used to explain certain aspects of what could possibly be behind the murders seen in all of the film. The only other character who works well enough by bringing levity to an otherwise completely serious film is James Ransone as a deputy who aids Ellison in his search for information regarding the murders. Part of what had me excited for this film was that it was written by C. Robert Cargill. It excited me because many who are savvy with internet film journalism are aware that Cargill is an experienced film reviewer, who loves horror films, and this is his big debut. 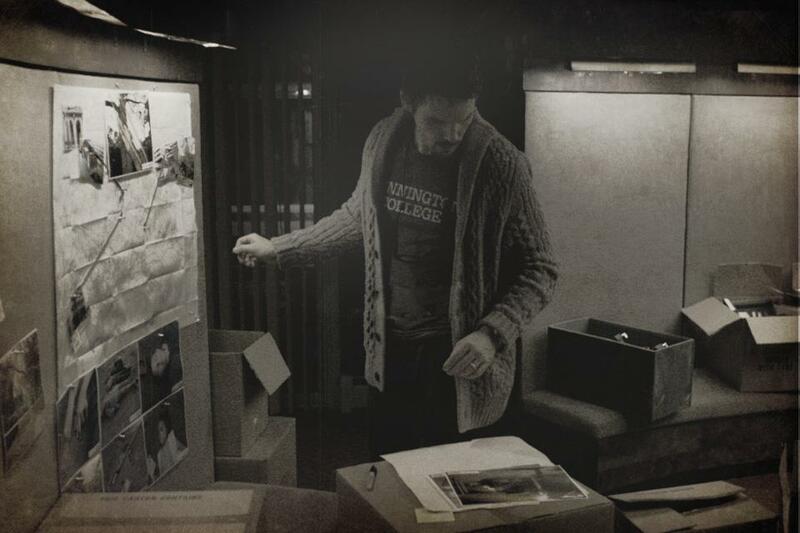 There is certainly a lot that I admire about how the story of Sinister comes together, as it contains both a lot of original ideas, but also ones that feel like a nice tribute to similar films that have come before it. However, it is hard to get past the fact that the characters do make some decisions that one would think an experienced horror film fan/reviewer would take more care in avoiding when developing his own movie. Watching characters go certain places in the dark, alone, or call out into the empty darkness, well after knowing something is up just felt off to me. The fact that Derrickson decided to pack in several ‘jump scares,’ which felt more lazy than effective, did not help either. I also took some issue with how the story plays out. While I have no intention of spoiling anything, suffice it to say that the more I understood about what was happening, the less interesting it became. While there was a level in intrigue in the setup, and plenty to make me worry for the characters, when it comes to learning that something insane is happening, as it involves the worst home videos ever, the ending left me with mixed feelings, given some attention-grabbing choices that were made, despite now having an understanding of why things occurred that way. I am sorry for how vague that may sound, but I have the thought that the film kind of cheated, despite ending in a way that does not feel like a cheat. More inquiring minds can ask me separately, I guess. Overall, Sinister is a pretty solid horror film though. It is scary due to the fine handle on its atmosphere and some of the directorial touches. The fact that the story is built off of an original premise and that it is quite dark is a nice touch as well. 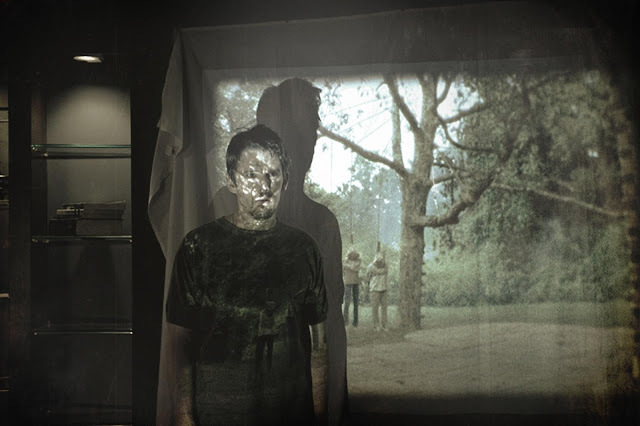 While it may not be as solid as something like last year’s Insidious, Sinister does do the job of being an engagingly horrific feature, with the benefit of some clever ideas and a solid lead performance. Given that I bemoan the thought of more horror film reboots or PG-13 ‘jump scare’ fests, it is nice to see a new approach. Ellison: Get the kids, pack the car, we have to leave here now.